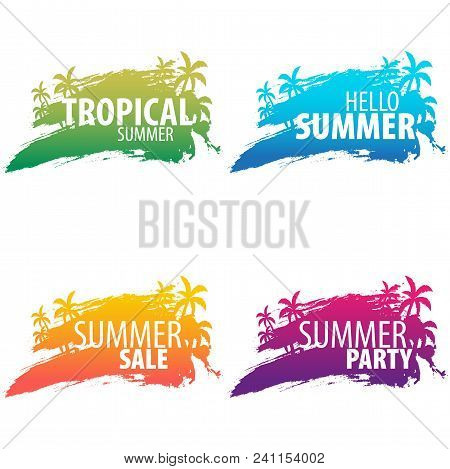 summer › Buy Poster of Summer Tropical Backgrounds Set With Palms And Sunset. Summer Placard Poster Flyer Invitation Card. Poster of Summer Tropical Backgrounds Set With Palms And Sunset. Summer Placard Poster Flyer Invitation Card.